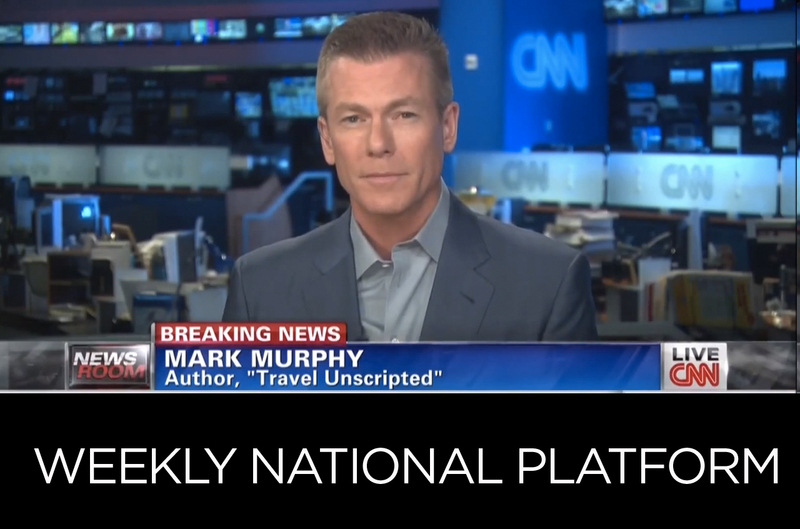 Mark Murphy, publisher of Vacation Agent magazine and TravelPulse.com is the champion for travel agents and now the go-to travel guru for consumers, editors and national producers whether there’s breaking travel news or seasonal deals to be uncovered. When Mark first teamed up with Live in Five, his goal was to use his understanding of both the travel industry and the rapidly changing media landscape to break the broadcast barrier. Mark’s first TV segment was booked within in just two weeks in the gateway market, Chicago! He nailed it and Live in Five was able to leverage three local Chicago segments on ABC, NBC and WGN to book him on The Today Show in just two months. He has now become a travel expert for both regional and national broadcast markets and is frequently quoted in the Los Angeles Times, USA Today, CNN.com and more. Today, we continue to book Mark regularly on national shows, sometimes as often as three times per week, including CNN’s Your Money, FOX’s Your World with Neil Cavuto, The Today Show, The Willis Report, and much more. See all of Mark’s bookings here.